NIDA has made a strong commitment to supporting and training future scientists and has a number of programs and initiatives that support both predoctoral and postdoctoral scientists interested in drug abuse research. This chapter focuses on the needs of mentees. Information is presented on training opportunities at NIDA, and drawing from multiple surveys, information also is presented on successful training strategies from the mentees' perspective. Because drug abuse is often stigmatized, investigators who study addiction and the public health consequences of addiction report that the field often is similarly stigmatized at academic institutions. The drug abuse research community sometimes faces unique challenges in recruiting and retaining a qualified pool of scientists. 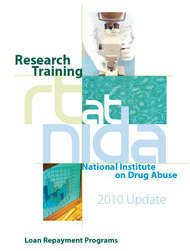 NIDA supports a number of programs to help address the training needs of substance abuse researchers. NIDA has made a strong commitment to supporting and training future scientists. NIDA has a number of programs and initiatives that support both predoctoral and postdoctoral scientists interested in drug abuse research. NIDA trainees are invited to attend grant preparation workshops, poster sessions, and/or special sessions at conferences and workshops (e.g., CPDD, American Psychological Association, Society for Prevention Research, Society for Research on Child Development, Society for Neuroscience). Current information on these can be obtained from NIDA program officials or, for some activities, from NIDA's research training page. NIDA supports individual Ruth L. Kirschstein NRSAs for predoctoral students (F31), postdoctoral fellows (F32), and M.D./Ph.D. candidates (F30), as well as funding for over 50 training sites for predoctoral and postdoctoral trainees across the country (T32). NIDA also funds a variety of mentored career development awards (e.g., K01, K08, K12, K23, K25, and K99). Additional information about these and other programs can be found at NIDA's research training page. To guide applicants, NIDA has developed a research training brochure that carefully describes each training program and includes the type of training provided, career level of training, and application submission dates. Research Training at NIDA, 2010 Update: Loan Repayment Programs (PDF, 474KB). Several recent surveys have provided data on mentees' perspectives about successful training. In 2004, Science Careers (the career component of the journal Science) invited 10,000 members of the American Association for the Advancement of Science (AAAS) to complete an online survey of their training experiences. Results from the 932 respondents are described below and indicate several key priorities for effective scientific training. In addition to the key themes and priorities from this survey, comments from mentees are included below. Visit the ORWH-Supported Career Development and Mentoring Programs list. View Making the Right Moves: A Practical Guide to Scientific Management for Postdocs and New Faculty from the Howard Hughes Medical Institute. 75 percent of the institutions had an administrative office for training. Low wages and lack of benefits; low salary compared to same-aged non-postdoctoral Ph.D.'s and individuals without doctoral degrees. Mismatch between expectations and outcomes. Few available faculty positions: The annual growth rate in the number of postdocs is 2.8 percent; the rate of growth in the number of faculty positions is 0.8 percent. 24 percent of trainees did not consider their advisor to be a mentor. NIDA Research Trainees: How Can You Find Opportunities? Check the Web for opportunities. Search under "fellowship," "postdoc," "research associate," or "faculty appointment." Subscribe to listservs (such as those of CPDD, American Public Health Association, APA, etc.) where ads are placed looking for people like you, or get creative and advertise your availability for a position. Network at conferences with trainees, young investigators, and established investigators. Bring business cards and hand them out. Follow up your conversations with e-mails and telephone calls. Offer to visit the institution in which you are interested and to give a talk. Search NIH RePORTER the NIH database of funded grants, for training grants and/or mentors in the scientific and geographic areas you most want to work in. Contact the PI, as well as co-investigators, who can be found by calling the PI's assistant. Ask your advisor for new ideas. Find information on training sites and ask the training directors for advice. Consult with the National Post-doctoral Association for tips (even if you are not a postdoc). Post your CV on Science Careers. In addition, a number of key training program dimensions were assessed in relation to overall level of satisfaction. Postdocs reporting the highest amount of structured oversight and formal training were more likely to be satisfied, to give mentors high ratings, to have low numbers of conflicts, and to publish more papers than postdocs with the least oversight and training. Research plans were also assessed in relation to mentoring expectations: 20 percent of postdocs who had no research plan with their mentor reported that their mentor was not meeting their expectations, compared with 5 percent of postdocs who had such plans. At NIDA's Spring 2006 Research Training Institute, trainees participated in a survey conducted by Dr. Linda Cottler to help determine how to select the best mentor and to be the best mentee. Factors that were reported as important to consider when choosing a mentor included the mentor's gender, current training setting, and position. The trainees were also asked to name one aspect of their current mentoring situation that they would want to change and one aspect of their current mentor–mentee relationship that they would not want to change. Finally, they were asked to comment on the role of good mentoring, good planning, and serendipity in their relationships thus far. Many of their responses are used throughout this guide, as they represent important issues for mentors to consider. Many respondents reported they were completely satisfied with their current mentor (64 percent of women and 54 percent of men). A high percentage (79 percent of women; 85 percent of men) of mentees was completely satisfied with their mentor regarding authorship on papers. Mentees were less satisfied with the feedback they received and with the help they received in making decisions about their career paths (completely satisfied: 61 percent of women and of men). Less than half of the respondents (46 percent of women and of men) reported being completely satisfied with their mentor in terms of prioritizing time with the mentee. Slightly more than half (54 percent of women and of men) reported that they were completely satisfied with their mentor's networking strategies, specifically, introducing them to other colleagues. Less than two-thirds were completely satisfied that their mentor had mentored them in the responsible conduct of science (62 percent of women and of men). Based on these findings, a number of suggestions are offered in the following section to help identify mentoring opportunities that match a mentee's research aspirations and to foster high-quality research mentoring and training experiences. Interview the mentor's other trainees and ask pertinent questions about attention to mentees, respect for mentees, and credit to mentees. Does the mentor have national recognition? International recognition? Does the mentor give timely feedback to students/mentees? Is the mentor senior enough to share data, limelight, and ownership? Has the mentor given adequate credit where it is due? Does the mentor reserve time for a regular meeting (weekly, monthly)? How does the mentor act at meetings? Is bad behavior allowed in the lab? At meetings? Are strategies for career development discussed? What was the mentor's career path? What worked and what didn't? Who were his/her mentors, and what did he/ she learn from each? How does the mentor balance work and family? What is the publication record of their mentees? What is the grant application and success rate of their mentees? Are former mentees finding good placements? Did you achieve your goals? If yes, what strategies contributed to your success? If not, why not? How much time did you devote to formal commitments like research seminars, career development seminars, teaching, job searches, networking, writing grants, writing papers, and doing research? What collaborations have you established? Have you participated in any local or national organizations? Local Institutional Review Boards? Task forces? In what areas do you need more specialized training? Did you turn your oral presentations and posters into papers to submit for publication? Did you enjoy what you were doing? Did you enjoy working with your mentor? In his/her lab? How many people did your mentor introduce you to at the last conference? Did you follow up with any of them? Are you gaining grant writing skills and applying to funding opportunities when appropriate to do so? Take adequate time to plan their research proposals, grant applications, analyses, and collaborations. The aims should be clear, concise, and focused. Schedule relevant coursework around training commitments. Establish a writing circle in which coworkers and trainees in your cohort can edit each other's papers and give detailed feedback. Submit abstracts for conferences along with applications for travel awards and scholarships. Turn presentations into publishable papers within 3 months of the conference. Make career development a major priority. Don't be an "ivory tower" investigator—be involved. Get your hands dirty and feet wet by experimenting with all the steps necessary to run a successful project. Interview respondents, enter data, and offer to help supervise personnel. Identify when you should begin establishing your own funding source and submit grant applications consistent with this plan. NIDA. "Mentoring: A Guide for Drug Abuse Researchers." National Institute on Drug Abuse, 1 Nov. 2009, https://www.drugabuse.gov/publications/mentoring-guide-drug-abuse-researchers. NIDA. Mentoring: A Guide for Drug Abuse Researchers. National Institute on Drug Abuse website. 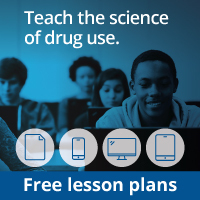 https://www.drugabuse.gov/publications/mentoring-guide-drug-abuse-researchers. November 1, 2009.